Robert Maddin, one of the four founders of the LRSM, died on March 3, 2019 at age 100. Bob was born in Hartford CT in 1918. 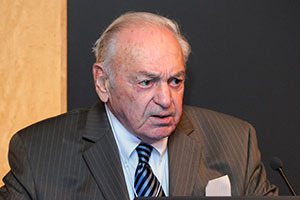 He graduated from Yale with a doctorate in engineering in 1948, and he joined the Metallurgy department at Penn in 1955, just after it formed, as Professor of Metallurgy and Director of the School of Metallurgical Engineering, a position he held until 1972. In January, 1973 he was appointed University Professor, a position he held until his retirement in 1983. Along with Eli Burstein, Robert Hughes, and Norman Hixson, he was responsible for the creation of the LRSM in 1960. He was a member of the LRSM Executive committee and was well known for his work on mechanical properties, phase transitions, and defects in metal single crystals, alloys, and metallic glasses. He was also department chair of Materials Science and Engineering (formerly Metallurgy) from 1972-83. In 1983 he joined Harvard as a professor of Anthropology, worked on ancient metallurgy, and was also a curator in the Peabody Museum. 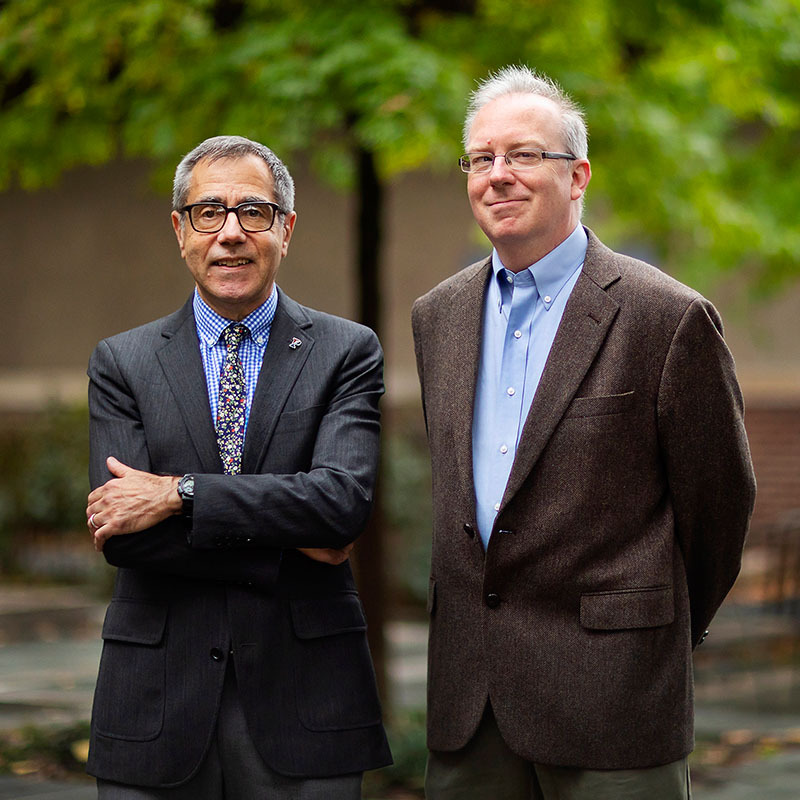 The LRSM will continued to honor and remember him, as it has for many years, through sponsorship of the Maddin Lectures which bring prominent materials researchers to Penn. 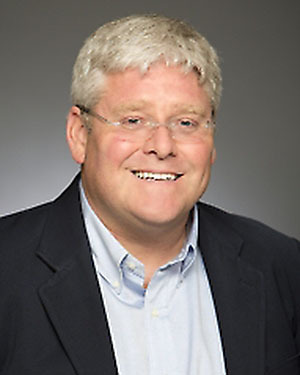 We congratulate Christopher Murray, Richard Perry University Professor and Professor in the Departments of both Materials Science and Engineering, and Chemistry as a Penn Integrates Knowledge faculty member. Chris has just been elected to the National Academy of Engineering (NAE) “for invention and development of solvothermal synthesis of monodisperse nanocrystal quantum dots for displays, photovoltaics, and memory.” Chris is an intellectual leader in the MRSEC, especially as a core contributor to both of our nanocrystal IRGs during the last two funding cycles (links below). Chris has also been a strong participant in our education and outreach efforts, including the PREM program with the University of Puerto Rico. His scientific contributions include (but are not limited to) the development of nanocrystalline materials broadly defined, for example the creation of “artificial atoms” — nanocrystals or quantum dots — that self-assemble into devices with completely new multi-functionalities. The LRSM recently lost an old friend and former Director, Don Langenberg, who passed away on January 25, 2019 at age 86. Don joined the Physics department at Penn in 1960, where he specialized in low temperature solid state physics, specifically focusing on electronic band structure in metals and semiconductors. He later carried out classic experiments on quantum phase coherence and non-equilibrium effects in superconductors for which he became a world authority. In 1972 he became director of the LRSM. This was an important time, in part because the source of LRSM funding was changing from ARPA to NSF. Don led the effort to garner our first major center funding from the NSF, through the so-called Materials Research Lab (MRL) program. The LRSM Director position, which he carried out with aplomb, was his first foray into administration and represented the beginning of a highly successful transition to administration (broadly defined). In 1974 he was appointed vice-provost for graduate studies and research at Penn and from 1974-77 was member of the Advisory Committee on Research of the NSF. From 1975-80 he was a Trustee of Associated Universities before becoming Acting Director of the NSF, 1980, and Deputy Director 1980-82. In 1983 he became Chancellor of the University of Illinois, Chicago, 1983-1990, and then Chancellor of the University of Maryland System, 1990-2002, after which he became Chancellor Emeritus on his retirement. Among Don’s other achievements: he was a Trustee of Penn ,1990-2000, President, American Association for the Advancement of Science,1991, Chair, Board of Directors, National Association of State Universities and Land-Grant Colleges, 1991, and President of the American Physical Society, 1993. 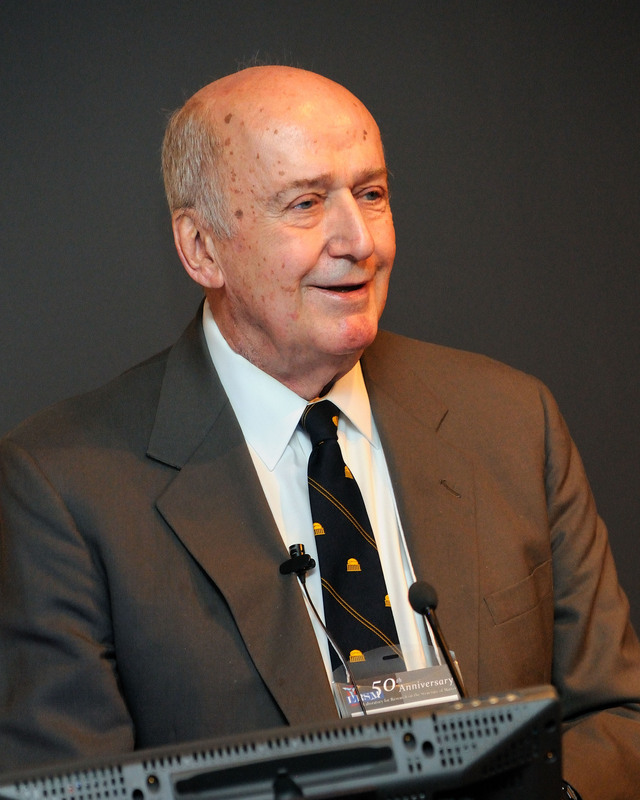 Other awards he has received include the John Price Wetherill Medal of the Franklin Institute and the Distinguished Contribution to Research Administration Award of the Society of Research Administrators, in addition to honorary degrees from several universities. Kane, the Christopher H. Browne Distinguished Professor of Physics, and Mele, also Christopher H. Browne Distinguished Professor of Physics, both in the Department of Physics and Astronomy, have long collaborated, sharing ideas and predictions in their field of condensed matter physics. Their theoretical contributions introduced a new class of materials known as topological insulators. These materials have the unique characteristic of being electrical insulators on their interior, but have surfaces that are unavoidably conducting. more: Penn Today news item on Kane & Mele accepting their award. In the Spring of 2018, a a brand new instrument for measurements, funded by an NSF-MRI grant with matching support from LRSM and SEAS (and additional building renovations funded by SAS, SEAS, and the Provost) was installed in the LRSM. 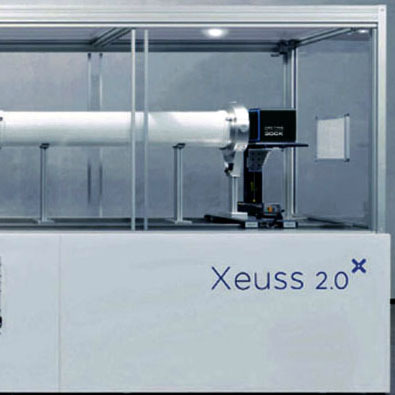 The DEXS instrument (“Dual Source and Environmental X-ray Scattering”) incorporates a Xeuss 2.0 small-angle system with Cu and Mo X-ray sources and adjustable sample-detector distances from 7 cm to 6.3 m. This provides scientists with an unprecedent capability to measure structures of materials from the subnanometer to the micron scale on the same instrument. Once the sample is placed in the instrument, all aspects of the measurement are computer-controlled, including collimation and choice of source. The DEXS instrument is also equipped with a wide variety of sample environments and special configurations, including controlled temperature, humidity, grazing incidence, and measurements under tension. The instrument was commissioned and tested during the summer of 2018, and is now being used by research groups in Materials Science, Physics, and Chemistry, as well as outside academic and industrial users. Anticipated applications of the research being conducted using this instrument include nanoporous metals for energy storage, nanocrystals for light harvesting, polycarbonates in ionic liquids with tunable chemical reactivity, and a variety of others. 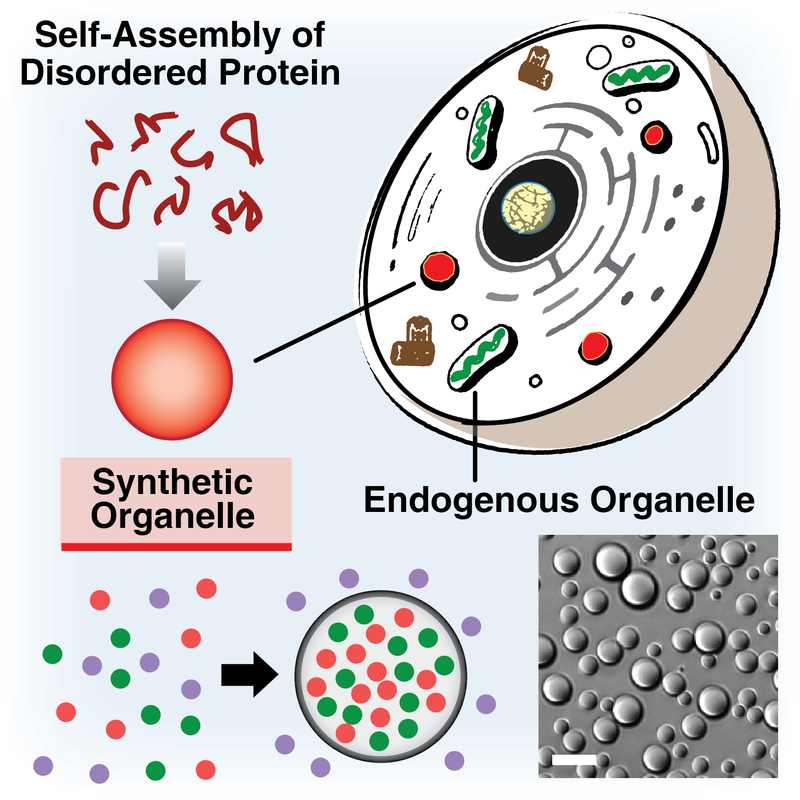 The NSF awarded the Penn MRSEC funding ($500K) for a brand new SUPERSeed, entitled Membraneless Organelles with Designed Function from Engineered Assemblies of Intrinsically Disordered Proteins. The objective of the SuperSeed is to construct genetically-encoded materials that predictively self-assemble into micron-size liquid condensates in vitro, and in cells via coacervation of intrinsically disordered proteins (IDPs). The SuperSeed is led by Matthew Good (Cell and Developmental Biology, Bioengineering) and Elizabeth Rhoades, (Chemistry). They will be collaborating with Daniel Hammer and Daeyeon Lee (Chemical and Biomolecular Engineering) and Jittain Mittal (Lehigh University). The proposed studies leverage team expertise on intrinsically disordered proteins and principles of molecular self-assembly to construct mesoscale structures inside living cells. By integrating computational design and experimentation this team will develop rules that govern the assembly of nanoscale IDPs into organelles. Additionally, synthetic organelles will be engineered to sense the environment and regulate cellular decision-making, thereby mimicking and extending the rules of life that underlie cellular organization. This Penn collaboration was among the winners of highly competitive summer SuperSeed competition spanning all MRSECs (34 submissions). 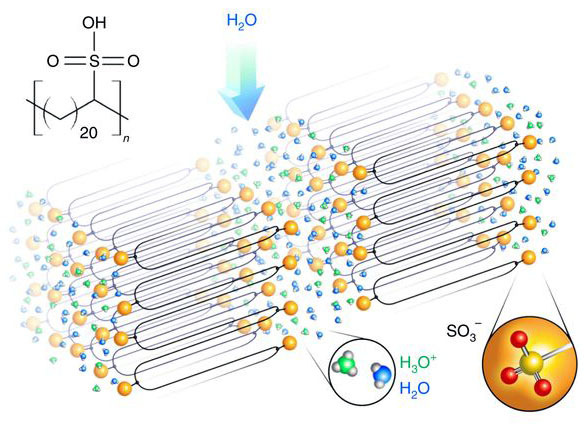 A recent study, published in the journal Nature Materials, suggests a new and versatile kind of solid polymer electrolyte (SPE) that already has twice the proton conductivity of the current state-of-the-art material. 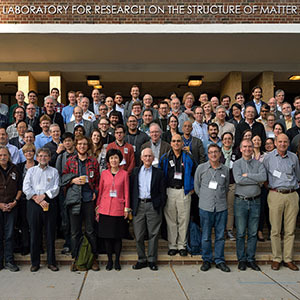 It was led by Karen I. Winey, TowerBrook Foundation Faculty Fellow, professor and chair of the Department of Materials Science and Engineering, and co-supervisor of the LRSM’s Multiple Angle X-ray Scattering (MAXS) facility. This publication is the result of 10+ years of structural characterization of precise polyethylenes made possible by the MAXS facility. MAXS was designed to incorporate a broad angular range to capture structural features from 0.26 to 80 nm, which is particularly important for acid- and ion-containing polymer that self-assemble into hierarchical structures. 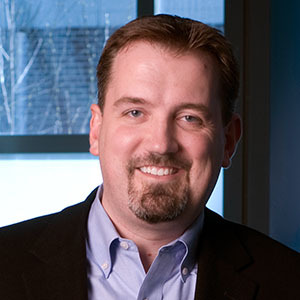 Congratulations to Jason Burdick who has been named the Robert D. Bent Professor of Bioengineering. Jason participates in our MRSEC grant as a member of the Interdisciplinary Research Group (IRG) on Structural Chemo-Mechanics of Fibrous Networks in which he works on strain reinforcing fibrillar materials. Jason has been a Bioengineering faculty member since 2005. 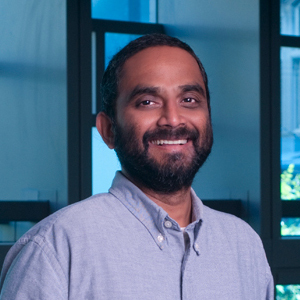 Congratulations to Vivek Shenoy, who has been named the Eduardo D. Glandt President’s Distinguished Professor in SEAS. Vivek is co-leader of our Interdisciplinary Research Group (IRG) on Structural Chemo-Mechanics of Fibrous Networks. He is a theorist who studies mechanisms of plastic deformation in collagen networks, among other materials. Vivek has been a faculty member in the Department of Materials Science and Engineering since 2012. He also serves as the director of the NSF Science and Technology Center for Engineering Mechanobiology. In a paper published in Nature, faculty from IRG3: Pluperfect Nanocrystal Architectures reports a fundamentally new and scalable approach to prepare electrodes from atomic thin 2D nanosheets in the vertical orientation via self-assembly. 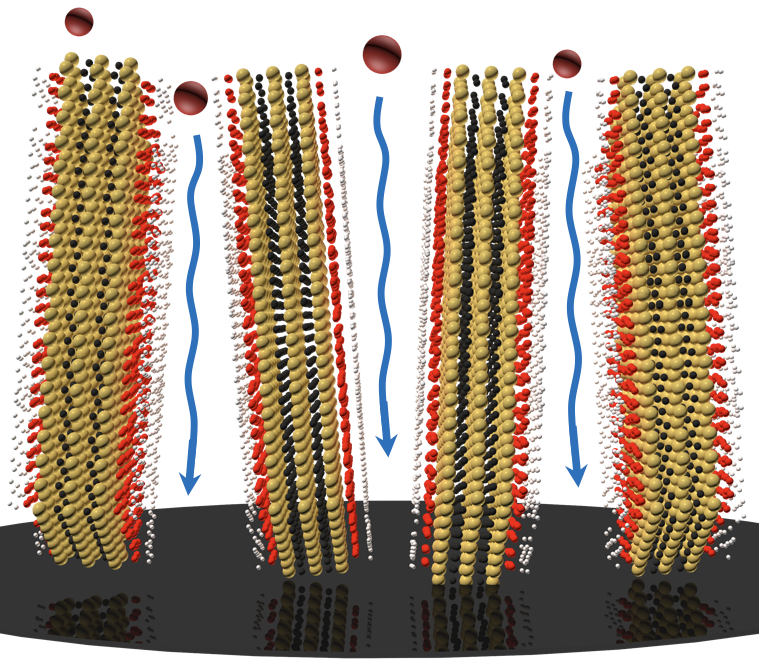 The method beautifully marries soft matter assembly and functional hard nanomaterials by creating a coherent and long-range ordered liquid crystal phase of 2D sheets of titanium carbide, Ti3C2, a member of the MXene family. The resulting electrode films show rapid ion diffusion in thick films, exhibiting unprecedented energy storage performance, retaining almost 100 % of the capacitance after 20,000 cycles of galvanostatic cycling at a rate of 20 A/g, and nearly thickness-independent (up to 200 micrometers, or 0.2 mm), a thicknesses equal to or exceeding that of commercial electrodes. 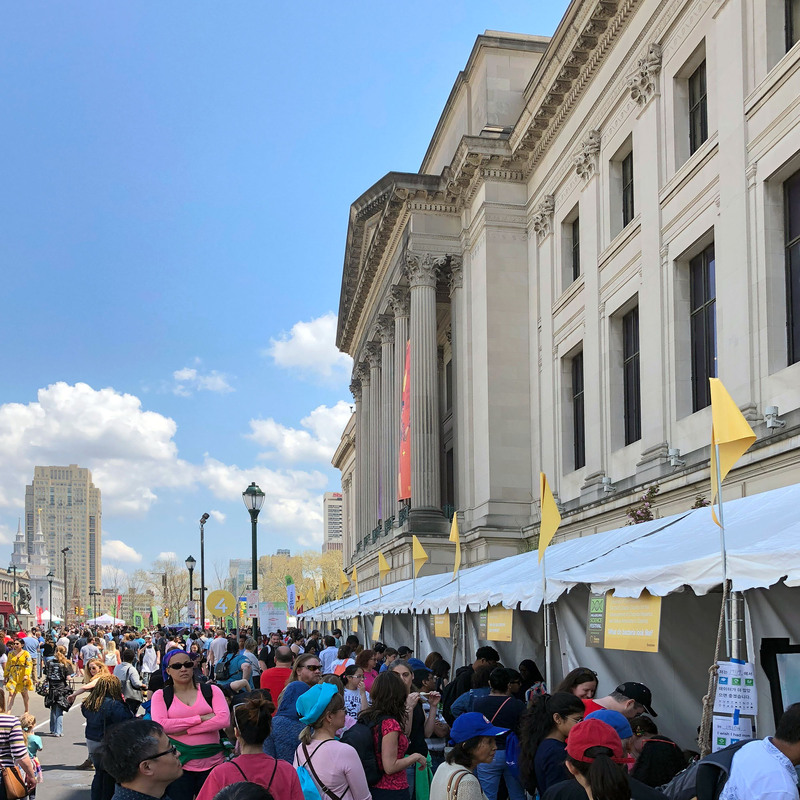 LRSM graduate students, post-docs, and faculty hosted interactive exhibits at the Philadelphia Science Festival’s Science Carnival, on the Benjamin Franklin Parkway on Saturday, April 28, 2018. This free, final event of the festival, engaged people of all ages about fields of science. 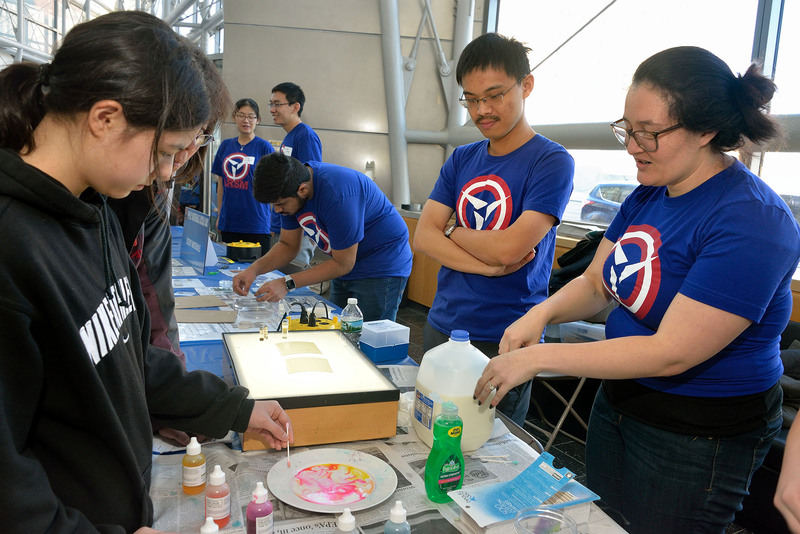 This year, the LRSM sponsored two interactive exhibits at the Science Carnival: “How does levitation work?” run by the Yodh soft matter group, and “Can you move a train with magnets?” run by the Jariwala group from electrical engineering (see full list of volunteers below). The LRSM has participated in the Science Festival since 2011, its inaugural year. Literally tens of thousands of interested people attended the all-day Carnival. 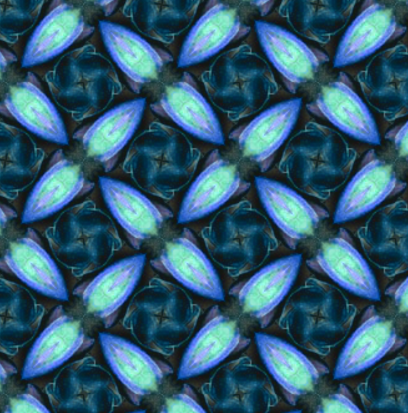 In a paper published in Science, a team of faculty from IRG-1 (Rearrangements and Softness in Disordered Solids) identified fundamental new connections between microscopic structure and dynamic rearrangements in glassy materials. In this truly interdisciplinary and multi-scale work, the team tested new ideas about “softness” in 15 different experiments and simulations spanning materials whose constituent size spans 7 orders of magnitude, and whose mechanical stiffness spans 13 orders of magnitude.